Cleans and protects tires, trim, engine bays, running boards, and more! BLACKFIRE All-In-One Trim & Tire Protectant Cleans, restores, protects, and beautifies exterior plastic trim and tires. 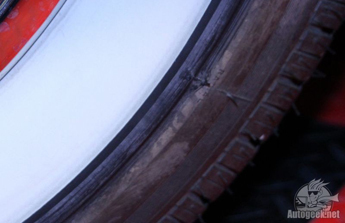 Built-in cleaners remove embedded dirt from tires, including white walls. Use on tonneau covers, engine compartments, and plastic moldings. This unique formula dries to the touch and will not sling. BLACKFIRE All-In-One Trim & Tire Protectant will quickly become the most used – and arguably the most versatile – detailing product in your garage! BLACKFIRE All-In-One Trim & Tire Protectant is far more than just another trim protectant or tire shine product. Formulated with a blend of cleaners and degreasers, All-In-One Trim & Tire Protectant removes grease and grime while beautifying the surface with a low-gloss, satin sheen of protection. The Water-based formula will not attract dirt or dust. 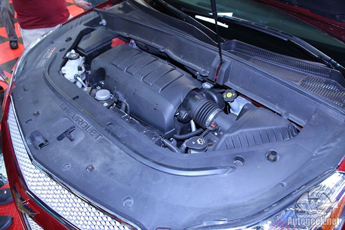 BLACKFIRE All-In-One Trim & Tire Protectant is perfect for cosmetic engine detailing. 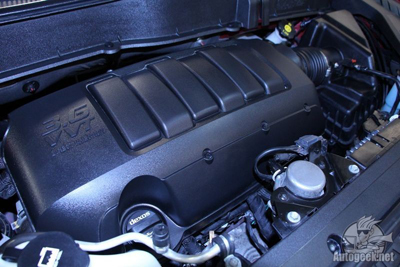 Check out the before and after results on this Chevrolet Traverse. The only tool used to clean and dress the engine bay was a MICROFIBER APPLICATOR PAD. If you’re a frequent user of rinseless and waterless washes, BLACKFIRE All-In-One Trim & Tire Protectant will quickly become your favorite detailing product. Because this versatile formula features built-in cleaners, there is no need to use a messy tire cleaner and scrub brush before applying your favorite tire shine - BLACKFIRE All-In-One Trim & Tire Protectant does both! 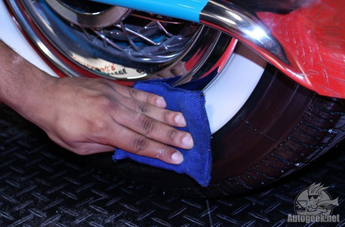 One quick application and your tires will be left clean and shiny! 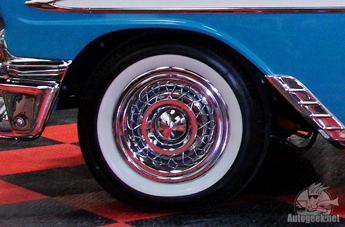 BLACKFIRE All-In-One Trim & Tire Protectant is perfect for classic cars with whitewall tires and tires with raised white lettering. 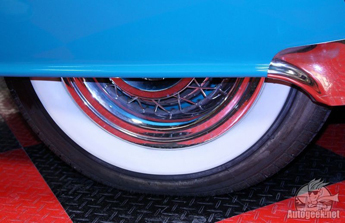 Now you can clean and shine your whitewalls tires at a car show – no water or dedicated whitewall tire cleaner is required. After: tire is clean and well dressed for a car show! 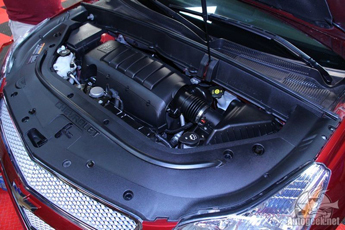 Frequent car care is easy car care with BLACKFIRE. Applying a coat of BLACKFIRE All-In-One Trim & Tire Protectant onto your vehicle’s plastic, rubber, and vinyl exterior surfaces once a month will ensure they do not fade or discolor over time. A little bit goes a long way, so a single 20 ounce bottle will easily last 6 months or more. For best results, apply using a microfiber applicator pad.